Miguel Cabrera is not only the best 3rd baseman in fantasy baseball, but he’s also the best player. Coming off of an MVP season while winning the triple crown, Cabrera will try to duplicate his amazing numbers, and who’s to say he can’t? He puts up similar numbers every year. Cabrera consistently hits above .320 with 30+ homers and 100 RBIs, and he can do so much more than that. He easily should be the first player off the boards and if someone is dumb and doesn’t take him first, then congratulations, you just got the best player in fantasy baseball. I don’t know how it happened, but Beltre became one of the best third basemen the past few seasons. He’s almost a guarantee to hit 30 homers. 100 RBIs, and a .300 batting average. That’s good enough to make him one of the first 3rd basemen off the board on draft day. Wright hasn’t been playing up to his ability during the past few seasons. 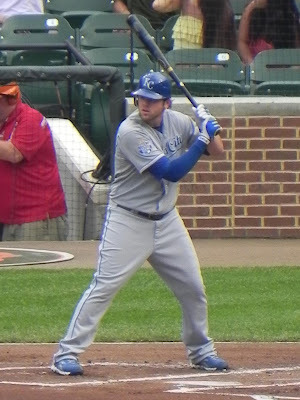 He has proved that he’s good enough to hit for a very high average, as well as hit 30+ homers and drive in 100+ runs. He also could steal 20 bases. He still has been playing great, but not as good as he could. After Cabrera, he’s as good as anyone at third. Take him and hope that he plays his best. Either way, he’s a top 5 option. Longoria is a tremendous player. He was injured last season so his value is going to fall, but he’ll bounce back. He should hit around 30 homers and 100 RBIs with a decent batting average. He’s no longer a first round pick, but he’s still a top 5 option at 3rd base. Hanley used to be the easy choice for first player drafted in fantasy baseball. After one injury plagued season and one off year, his value has greatly fallen. I wouldn’t be surprised if he bounces back this year, though. If after the top 4 3rd basemen are off the board Hanley is still there, don’t hesitate to draft him. He could still put up first round numbers. He’s even more valuable at shortstop, which he is once again eligible at. I always thought of Zimmerman as a poor man’s David Wright. He puts up similar numbers, but he doesn’t get as much credit for it. Since his value is lower than guys like Wright and Longoria, wait until they are gone to draft him. But don’t be surprised if he plays just as well. Ramirez is a model of consistency. He’s going to hit .300 with 25+ homers and 100 RBIs. He’s a great player and sometimes doesn’t get the credit for it. Take advantage of that and draft Ramirez as your stating 3rd basemen after the better options are off the board. Headley shocked the world last season hitting .286 with 31 homers and 115 RBIs. He even stole 17 bases. I’m not sure if he will repeat those numbers, but it looks like Headley is becoming a pretty good hitter. He’s good enough to be a starter, but there are around 7 guys that should be taken first. Alvarez is a good young 3rd basemen that hits for power. He broke out last season with 30 homers and 85 RBIs. He should be able to improve in both aspects, as well as batting average this year. Third base is typically a strong position though, so there are better options available. Sandoval, when healthy, is going to hit for a very high average, and hit around 20 homers or more. Those number don’t blow you away, but its good enough to make him a solid starter in most leagues. Freese is a decent option out there at 3rd. He hits for a pretty good average and he can hit around 20 homers a year. He’s not going to be the best player on your team, but he’s a pretty good option. Middlebrooks had a pretty good rookie year last season. He displayed his power over limited at bats and this time, he has the chance to do it over the course of a full season. He could hit 25+ which would make him a good option at 3rd. He could also have a sophomore slump. I wouldn’t take the risk on him since there’s so many other options but if you decide to, you may be greatly rewarded. Plouffe hit 24 homers in his first year starting but he didn’t play the entire season. He could’ve hit 30+ if he did, and he intends to do that this year. Plouffe will probably go undrafted in most leagues but if you’re in need of a third basemen at the end of the draft, he’s your guy. Seager hit 20 homers last season and he should be able to improve on that. Much like Plouffe, he’s going to fall, but he has power. If no one is left, take him. He wouldn’t be too much of a liability at 3rd. Moustakas hit 20 homers last year, and could potentially hit more this season. He’s not a great option at third, but because he has power, he wouldn’t be too bad. Try to draft someone better. Machado was one of the best prospects coming into the season last year. He was pretty impressive hitting 7 homers in just 191 at bats. He is listed as the starting 3rd basemen for the Orioles this season and should be able to put up pretty good numbers as a starter. He has great power. Take a chance on him if you don’t have a great 3rd basemen, or pick him up if he starts to play well. I think Brett Lawrie should be on this list don't you? Agreed,and who is Wes Middlebrooks? ?